The new Republican governor of Wisconsin has proposed a budget that will cut the income of public sector workers in the state. He’s also pushing to end collective bargaining, something the Associated Press said would, “effectively remove unions’ right to negotiate in any meaningful way”. On Tuesday, at a couple of days notice, the unions got more than 10,000 people to flock to the State Capitol building to lobby the politicians. The crowd included union members, students, community organisations, and workers who aren’t affected by the Governor’s proposal, including the police union. This video is a short intro to what that looked like. Yesterday, at least 15,000 people turned up again. Today, almost 20,000 crowded the State Capitol. For Trade Unionists in the UK, this is encouraging and good to see, but what are lessons for us? First off, the unions are drawing on alliances they have built over the last few years with organizations where in the short term there wasn’t an immediate benefit. They took the decision that the broader progressive infrastructure would benefit the unions in the long term. 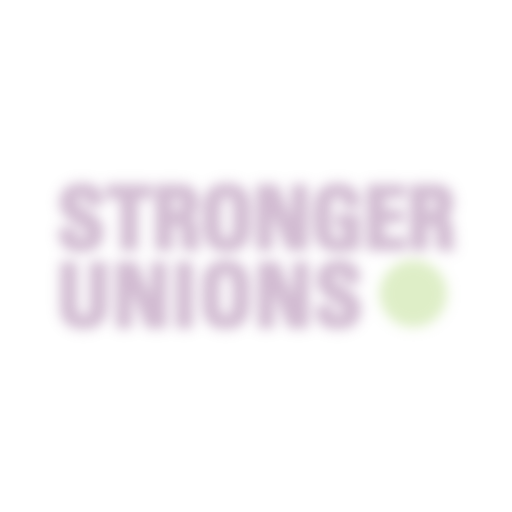 Unions here have gone out of their way to support and build up progressive bloggers, community organisations, and campaigners not from traditional union backgrounds. The appearance of students and other non-union workers on the frontline in Wisconsin is testament to this work. Blogs like the widely read DailyKos are urging their readers to back the unions. Student organisations are backing the protests and Superbowl winning Green Bay Packers players have lent their support. Organizing for America, the group that sprung up from Obama’s Presidential campaign, is throwing its weight behind the union’s efforts, organising phone banks and coaches to promote the rallies – powerfully showing that centre-left parties can be partners to unions under attack. Secondly, these campaigners are collectively using a whole range of new media tools to mobilise people and get their message out. Every hour, interested parties across the country are following the #WIunions hashtag among others, and the Twitter feed of organisers like Melissa Ryan. Photos like this one and these, and videos like the one above and this one, are telling the story that media outlets aren’t. Blogs like Talking Points Memo, Crooks and Liars and ThinkProgress are providing up to date coverage in a way that no mainstream media won’t or can’t. Because this is the US, unions are allowed to put out broadcast advertising like this radio ad, spread online through YouTube as well. This broad, constant barrage of information sustains support that helps workers in Wisconsin, and is beginning to generate the media coverage that is fraying Republican support for the measures, and it is possible because organisers have online tools in their hands to simply and professionally spread the word. Of course, most of this is stuff UK unions try to do, or know they need to, but as protests across Europe and North America grow, it’s important to take inspiration, and pick up some tips. Matthew McGregor works for a new media agency that specialises in building online communities that take action for causes; his background is with trade union and Labour campaigns. He is currently living in Washington DC. The states are broke because Republican governors keep lowering or freezing taxes. Look at California, with its Jarvis-Gann initiative. To preserve our standard of living, taxes must go up, especially on the affluent and the stinking rich.